DOC is Microsoft Word proprietary binary document file format. It was super popular before the trend of Microsoft OOXML formats (e.g. docx). 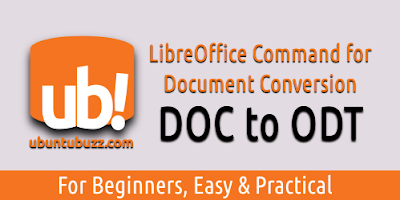 This command example showing how to convert multiple DOC files into ODT files. This article is intended to help converting proprietary Microsoft document format files into OpenDocument Format files. Important note: close all running LibreOffice window before running this command, otherwise it won't work. 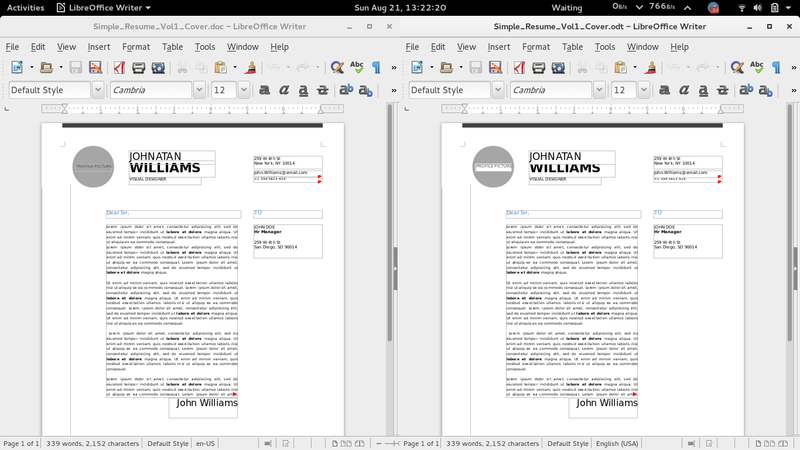 As the result, here is a resume letter sample converted from DOC (left) to ODT (right).